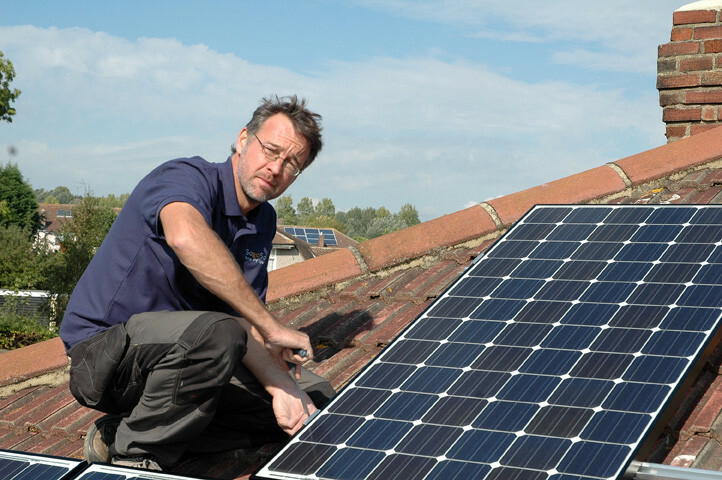 We specialise in the design and installation of solar pv systems and aim to provide an unsurpassed level of customer service. We are an independent business and are therefore free to specify bespoke solutions for our customers. We like to install well established and recognisable brands from the industries leading manufacturers however your requirements will determine our proposal. In addition to our base in Twickenham we have a network of MCS accredited solar pv associates across the south east of England ready to assist. We are also a registered installer with the Energy Savings Trust Pilot Referral programme. Installing sanyo modules in essex this 3.76kwp system was installed in theydon bois in september 2011 and this is what the customer said about us "....we are very pleased with our solar installation and have been impressed with so go solar. 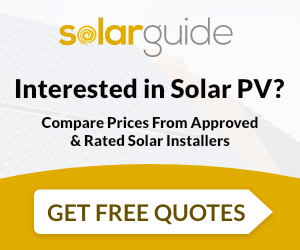 there are so many people offering pv installations at the moment and some can seem like dodgy double glazing salesmen. ben was nothing like this, he was easy and straightforward to deal with. he designed and fitted the install himself so we didn't have the problems that can arise when sales and technical teams miscommunicate. we'd happily recommend them to anyone." we are pleased to report that after the first 12 months the system had generated 120% of our original energy projections. 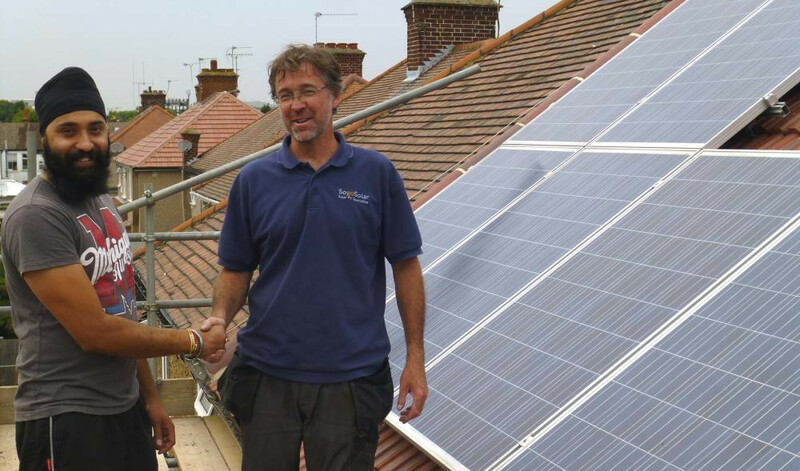 A solar edge retrofit in hounslow we inherited this system whose owner had received zip in income from the first year of operation due to a poorly designed and installed system. with 16 modules across 3 roofs connected in a single string this system was never going to work effectively. we installed voltage optimisers on each module which now provides for module level power point tracking. we also installed an online monitoring system which enables the customer to keep track of system performance wherever he is. now who is smiling ? So Go Solar Ltd are MCS accredited engineers who supply and install Solar PV. For similar installers in this area please visit the Twickenham solar page.